So I’ve been reading a lot of Calvin (and about Calvin) lately. And that’s for two reasons: 1) I really like reading Calvin. 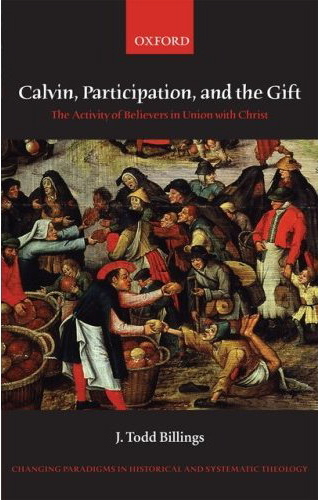 And 2) I get to write a paper on Calvin for my Medieval Reformation class. Prayer is the place where people ‘learn it by heart’, namely, the dynamic reality that they must look outside of themselves for happiness, wealth, and communion. This takes place ‘in Christ’, revealing the Father. Through calling upon the Father by the Spirit, believers receive ‘an extraordinary peace and repose to our conscience’. When one experiences God as father, one recognizes that God deals with us with generosity and kindness, ‘gently summoning us to unburden our cares into his bosom’. In experiences this adoption through the Spirit by praying in Christ, one needs to have ‘true gratitude of heart and thanksgiving’, for all good gifts come from the Father. Indeed, one of the purposes of prayer is that ‘we embrace with greater delight those things which we acknowledge to have been obtained by prayers’.